For over 20 years Stan has created elegant, sophisticated and dynamic environmental portraits for a diverse and growing list of national clients. 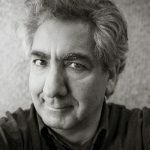 He has turned his love of photography, his passion for connecting to others and a strong commitment to personal service into a very successful creative business. Stan’s consummate understanding of light, judicious use of color and his respected ability to connect to anyone, anytime are the tools that his design, corporate and editorial clients count on receiving. Stan’s photographic odyssey, much to the dismay of his younger brother, began in 1967 in a closet in his hometown of Portland, Oregon. After returning from a science class at James John Elementary school one afternoon, Stan promptly cleared out his (and his brother’s) toy closet, layed down some photo trays, grabbed some of his grandfathers old negatives, and had at it. Fourty-five years after that momentous science class, Stan is still having at it. Specializing in environmental portraiture for his advertising, corporate and editorial clients. His work is marked by a search for innovative range of techniques and styles in the area of portrait and people photography. Stan’s approach to portraiture is to capture the subtle details of the people he photographs. His goal is to go beyond the obvious and create portraits that are not simply a record of what a person looks like, but to capture a glimpse of who that person is. His magazine clients include Forbes, Time, American Lawyer, Information Week, CMP Media, Hanley-Wood, Edgell Communciations, CFO, CIO, Computerworld, CXO Media and Ziff-Davis. “Stan, we had a great time and the location was awesome, inspiring and perfect for learning. “Just a quick note to let you and others know what a great experience I had today during Stan’s photographic tutorial. I received 3 hours of 1:1 instruction from the functions of my camera and how to apply them in various compositions, settings and environments to tips and best practices of photography. Stan took the time and attention to instruct based on my level of experience with the art as well as my familiarity of the equipment. I learned more in 3 hours than I have since purchasing my camera.